An Indian wedding? Probably. An Indian honeymoon? Why not? If you've ever explored the streets of Venice, taken pictures of the Eiffel Tower, visited the many French museums and art galleries and tasted Italian cuisine, maybe you can explore a different culture for your first trip together as married couple. A honeymoon in India is an experience that will certainly leave a lasting impression on both of you. 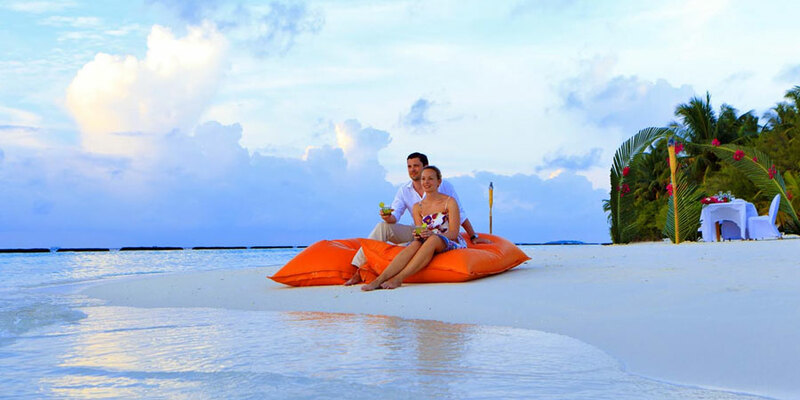 If you are just married and looking for a honeymoon in India, we are able to organize your honeymoon holidays. Your perfect honeymoon vacation can be organized depending upon the answers to following questions. Would you like to head towards the beach? Are you looking for an unusual stay for two? Are you planning to explore a particular destination? Do you choose to combine a few days of discovery with a stay dedicated to the beach? Depending on your desires, some destinations are gleaned. We have gathered several exotic destinations and several honeymoon tour itineraries, fitting into one of the four honeymoon themes- beach or unusual stay or a specific explore-worthy destination or sightseeing & beach combined. Browse through these different categories and discover the ideal destinations to organize your honeymoon. If for you, honeymoon is synonymous with intimate beach holiday, think of Indian destinations to celebrate this unique moment. Your honeymoon at the beach in India will lead you to shores of absolute tranquility or even close to lively beach resorts. You can also visit the famous beaches of Maldives, Goa, Kovalam, Puducherry, Mahabalipuram and Orissa. You can be guided to places less known in Andhra Pradesh, Karnataka, Maharashtra or Gujarat. It's up to you to choose the hotel comfort you want. It's up to you to define the ambiance and the intimacy you desire. If you are looking for something tropical and sunny, more sand and water in India, there are Goa and Kerala, two of the most famous beach in India. Goa is also known for its wooden sculptures and furniture, but you will also find coconut mats, straw hats, artifacts or jewelry that you can buy as a souvenir of your honeymoon. Lounge in the sun and discover the natural, calm and soothing beauty of India. It is quite possible to find a balance between sightseeing and beaches during your honeymoon in India. We present below, the destinations/ itineraries that seem to us ideal to combine discovery and idleness. If you do not have a specific idea to choose your destination/ itinerary, you can take inspiration from these suggestions. With you, we will be able to refine your honeymoon vacation as per your unique cravings. There are few honeymoon tour packages which don’t lead to the beach. The destinations included in beaches-less itineraries are culturally and naturally rich. In other words, these trips will appeal to honeymooners who want to walk the roads and paths of India but do not wish to linger along the beaches. Obviously, absence of beach does not mean absence of charm, nor of romanticism. In each of our destinations we are able to offer you experiences to celebrate your union as it should be. There is nothing more romantic than a discovery of Rajasthan punctuated by nights in the ancient palaces of maharajas. A honeymoon in India is an inevitable part of the honeymoon of the most sumptuous destination in Asia. It includes the visit of magnificent mansions and impressive fortresses that combine the charm and splendor of princely nights. For a taste of Indian royalty, there is Rajasthan, one of the most colorful regions of India. Visit the Palace on Wheels (Palace on Wheels), the Palace of Winds, the Amber Fort and Lalgarh Palace. Your honeymoon in India will truly be royal. As significant symbol of your honeymoon in India, you can choose to finish your tour in front of the Taj Mahal. This remarkable mausoleum was erected by Shah Jahan out of love for his wife. Be sure to visit the Taj Mahal, one of the Seven Wonders of the World. Made of white marble, this building was built by Emperor Shah Jahan in memory of his wife, Mumtaz Mahal. It is considered one of the greatest testimonies of love of the East. Here you can feel the warmth and security of being loved with all his heart. We have selected for you the trips that seem best suited to honeymoon in India. It combines the maharaja palaces, the most outstanding feature of Rajasthan, and tours of the most prominent cultural sites. Of course, India is vast and your wishes equally varied. The high altitudes of Ladakh, the colonial charm of Darjeeling or the sweetness of South India will be perfect for an unforgettable honeymoon. Ooty is one of the best honeymoon destinations in India. From the perfumed wind to the silence punctuated by the rustling of the trees and the enchanting landscape, this place is anchored in romance, romance, and more romance. Visit the botanical gardens and the Doddabetta peak with views of the Nilgiri mountain ranges. At seven-hour drive from Ooty, there is the town of Kodaikanal nestled in the hills of Tamil Nadu. Take a boat trip on Lake Kodai with your loved one and admire the trees, water, nature and enjoy the loneliness. Located in northern India and covering the states of Kashmir, Himachal Pradesh, Uttaranchal, Sikkim and Arunachal Pradesh, do not miss the ultimate experience of exploring the Himalayas. The peaks in Kashmir are perfect for climbing and hiking, while the Himalayan peaks in Uttaranchal are sites of pilgrimage. India is also known as one of the spiritual centers of many religions in the world. In the village of Khajuraho you can visit temples built by the Chandela rulers during the 9th and 10th century BC. Nature lovers can also consider staying in Darjeeling, Kodaikanal, Srinagar, Shimla and Manali, among other things for an aesthetic experience with nature. Take pictures of the hills covered with forests and stroll through the orchards and enjoy the view of the endemic flora of India. India is a paradise to explore, with pristine beaches, snow-capped mountains and a green setting. The hub of Eastern culture, one of the melting pot of the oldest traditions, religions and civilizations of the world, India is the ideal place for a romantic honeymoon. 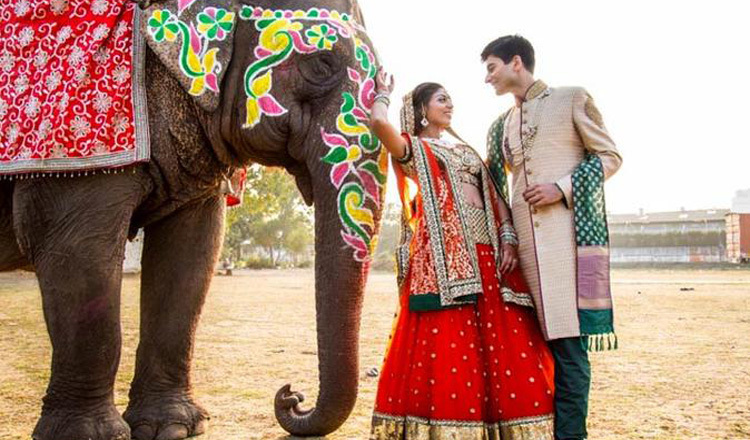 A honeymoon in India will be an unforgettable memory!